Let's go to the US Virgin Islands! Plan your trip to the USVI - Get the best deals on resorts in the US Virgin Islands, discover things to do, see more tips & stories! The US Virgin Islands are a group of islands in the Caribbean officially recognized as part of American territory. It consists of three main islands i.e. St Thomas, St Croix and St John. Over the last couple of decades, an influx of North American and European tourists has transformed the islands into one of the hottest destinations in the Caribbean. US nationals are particularly fond of these islands since their passports automatically grant them unrestricted entry without the need for visas. While it’s true – this is America’s Caribbean, West Indian culture remains the strongest influence and visitors wishing to immerse themselves in a profound cultural experience can enjoy historical tours and culinary encounters. Wrapped up in an island paradise package, your US Virgin Islands vacation can also include secluded beaches, ecological tours, fine dining, hiking or diving in a National Park, duty-free shopping, exquisite fauna, lively entertainment and more! US Citizens do not need a passport to travel to the USVI! Need inspiration? 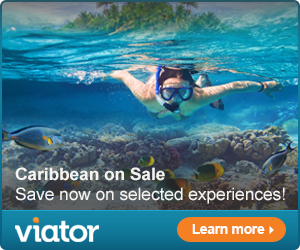 Discover your perfect Caribbean vacation! St. Croix’s Danish influence is perfect for visitors who prefer a laid-back experience. The historic towns of Frederiksted and Christiansted offer quaint shops, charming pastel buildings and refreshing cultural diversity. From horseback riding near 18th-century sugar mills to playing golf on one of the island’s three scenic golf courses, you’re sure to find something to suit your tastes. Two-thirds of St. John is a national park. Its comfortable pace is perfect for enjoying the island’s world-renowned beaches such as Trunk Bay, Cinnamon Bay and Salt Pond Bay. A nature lover’s favorite, St. John offers hiking, camping, specialty shopping and breathtaking views. If you take just a few hours to visit this island, you’ll find it well worth the trip. Save on some of the best things to do on your Caribbean vacation! Wyndham Resort St Thomas’ Margaritaville Vacation Club is open!